Highlighting the many ways trees contribute to Toronto’s liveability, these 16 limited-edition prints use the language of light to convey the full beauty and worth of our urban forest. 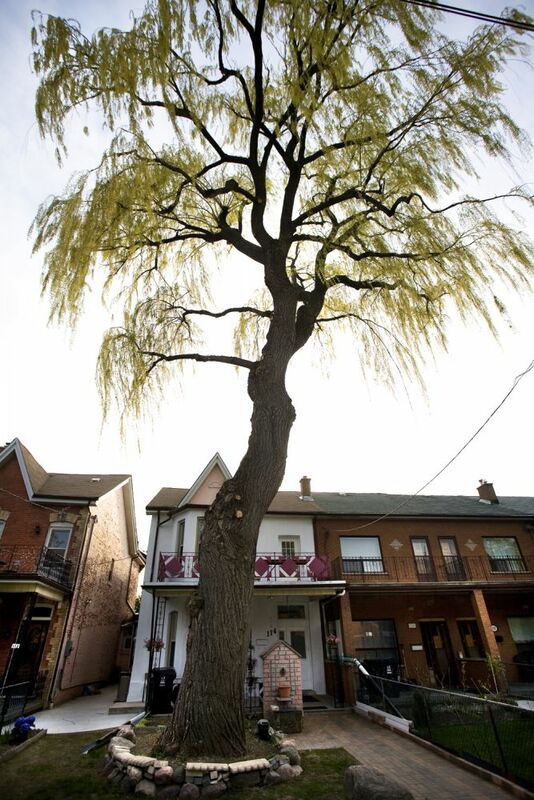 Featuring the favourite trees of a select group of respected Torontonians – ranging from artists and filmmakers to community activists and media personalities – Vincenzo Pietropaolo's work illustrates the deep connection as well as the personal relationships that exist between our city and its trees. Each limited edition signed photograph is available for $750 $375 (+HST). Prints are 21 x 29" (includes frame). All funds from the sale of each piece go towards LEAF’s planting, education and training initiatives. Contact us for more information or to purchase a print. "I would take the streetcar along College Street almost every day when I lived in Toronto...It was the vein that took me from my home in Cabbagetown to my west end crew of friends... I always preferred the streetcar to going underground, it would take a little longer, but the view was much better. There is something about the sound a Toronto streetcar makes, a wheezy wind up to a heavy sigh when it stops. 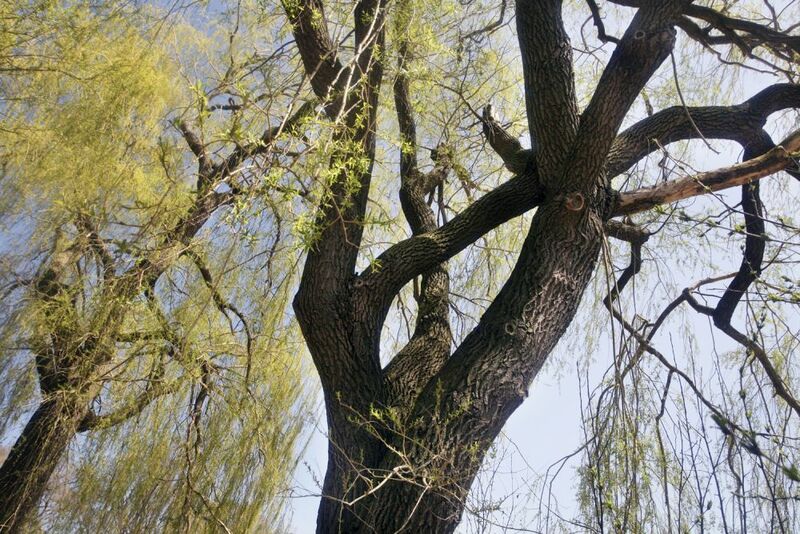 My favourite point of the trip between east and west was the willow tree on Bellevue." "One of my favourite childhood memories is going for long walks around our country home. Trees surrounded me, their shimmering leaves making a calming soundtrack to my movie like memories. When I moved to Toronto, I worried my walks would be overcome by concrete, movements too fast to create a calming effect on my soul. 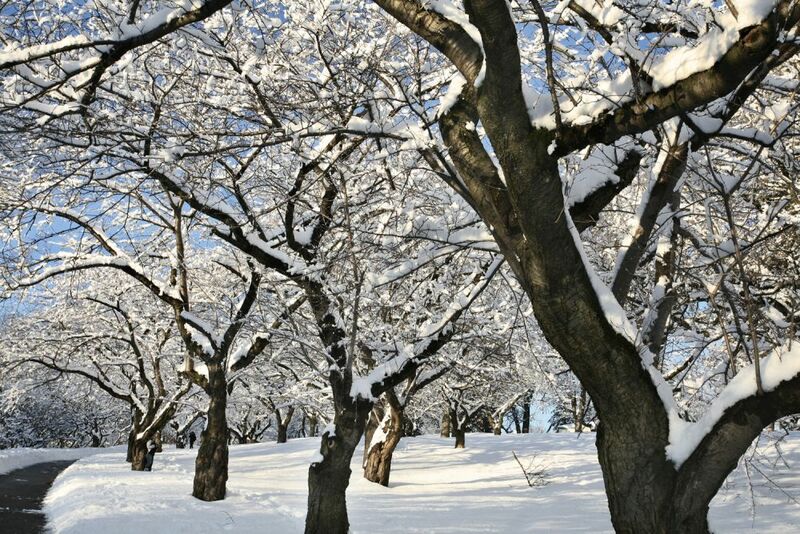 To my delight, I found a home near High Park and can now cherish my moments under the blossoming cherry trees." 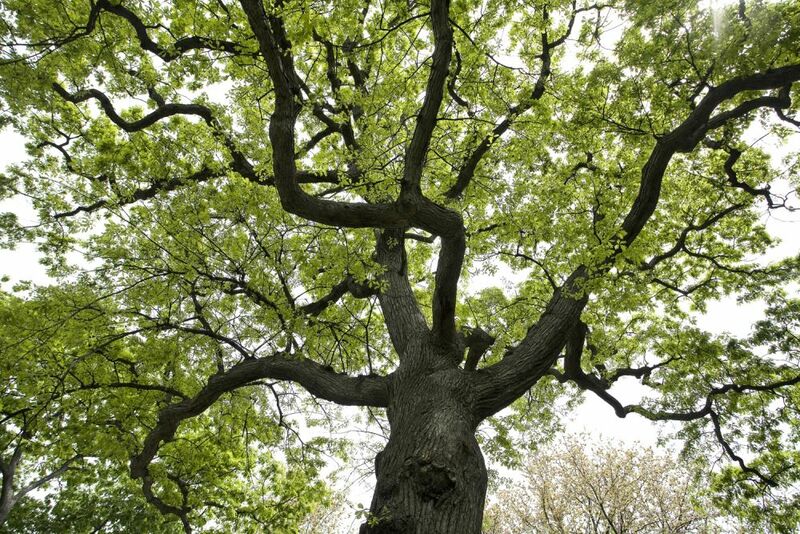 "Trees like all living things have most authority in the habitats they possess. 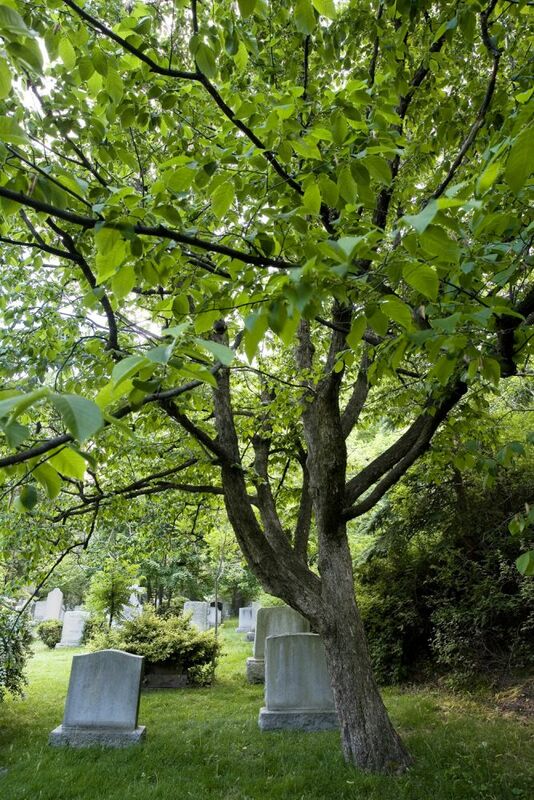 For that reason, the trees I relate to most are those that somehow embody where they are found. 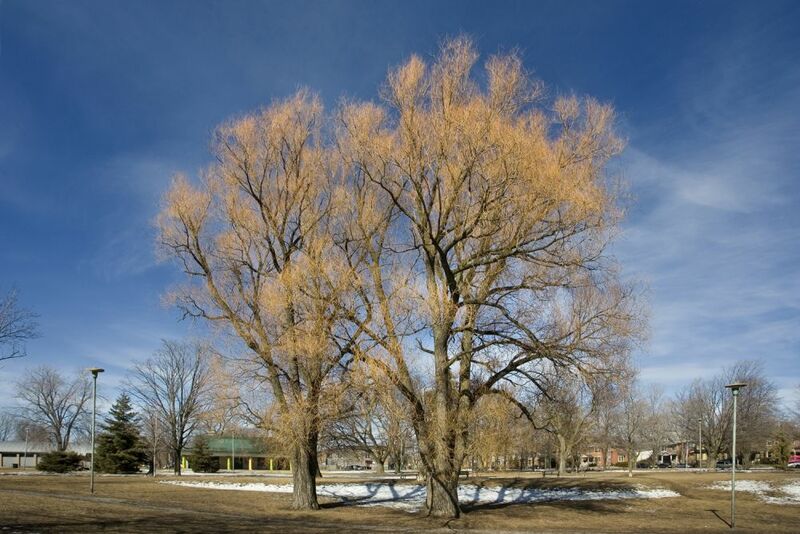 I think of plane trees in England or France and sixty-year-old willows in the high arctic; lying flat out on the land they resemble great coral fans. Then the ceiba, that great pale tree that the Mayans felt best understood the sorrows of men, and the ghost gums back in Australia that haunted my mother, who had come to live amongst Canadians in our northern landscape." 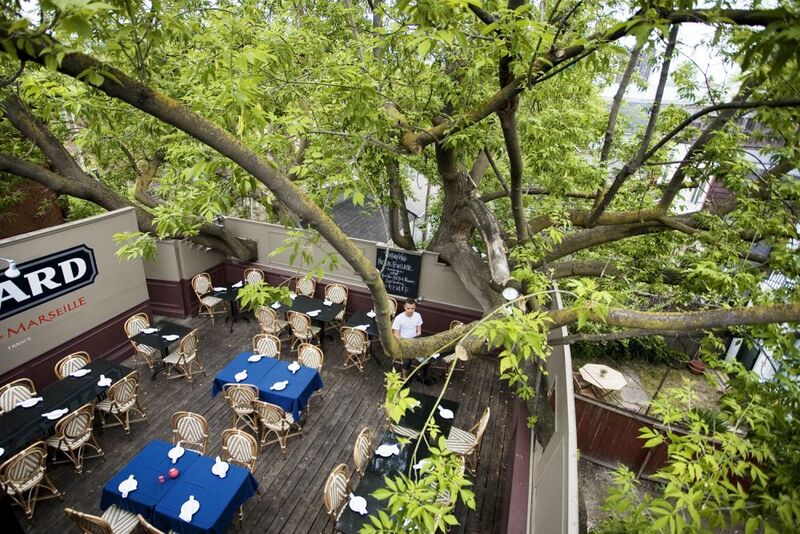 "This splendid Manitoba maple has spread itself up and out so beautifully, and Tati Bistro’s fabulous upstairs and outdoor patio just seems to loll in its shade. I have always loved the way the commercial interests of a restaurant have made such a wonderful partner with this great gift of nature. Yet another of Toronto’s multitude of secrets, begging to be disclosed." 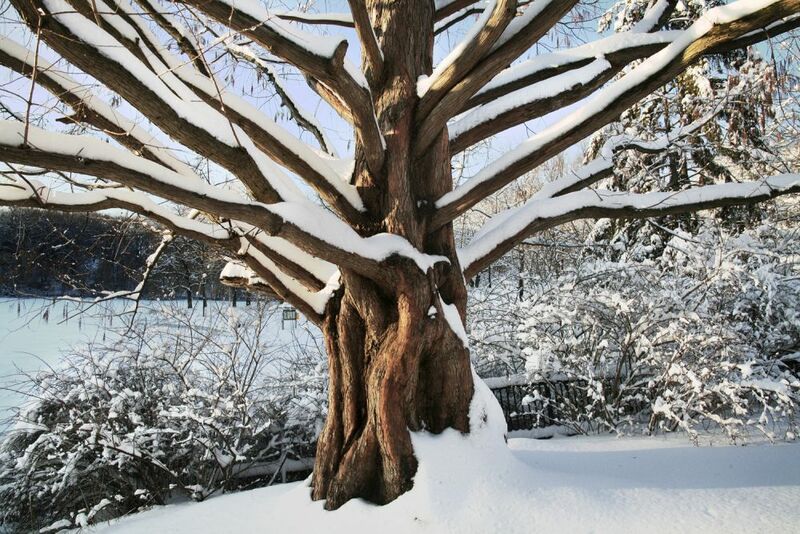 "There are a lot of great trees in this city, but my first choice would be one that I've spent a lot of time under; the giant tree on the north side of Christie Pits, by the baseball diamond. Aesthetically, it's lovely, but it's also really important from a community perspective. 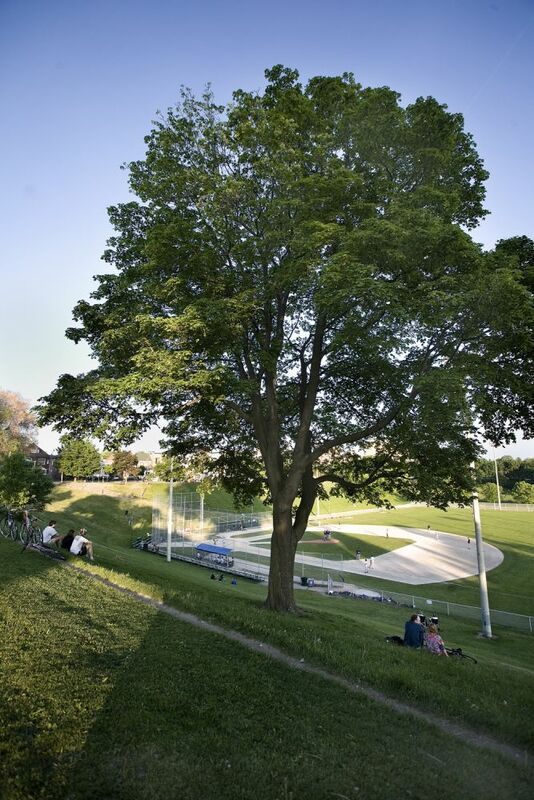 Sundays in Christie Pits watching baseball wouldn't be the same without the tree to lounge under. " 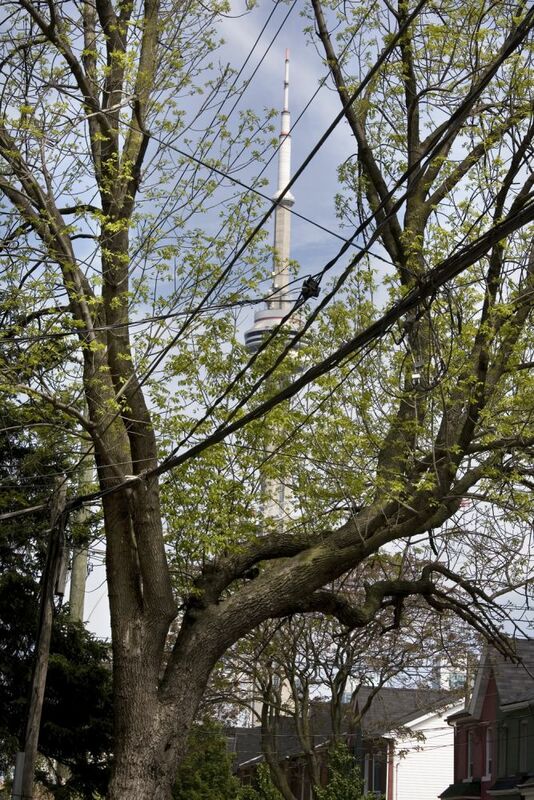 "I love Toronto's trees - its ravine forests, its park refuges, and its canopied neighborhoods. As a medical student, my precious free hours were spent riding my bicycle in the Don Valley. When our first child was born, we basically raised him in Trinity Bellwoods Park, across from where we lived, and just went home to eat and sleep." 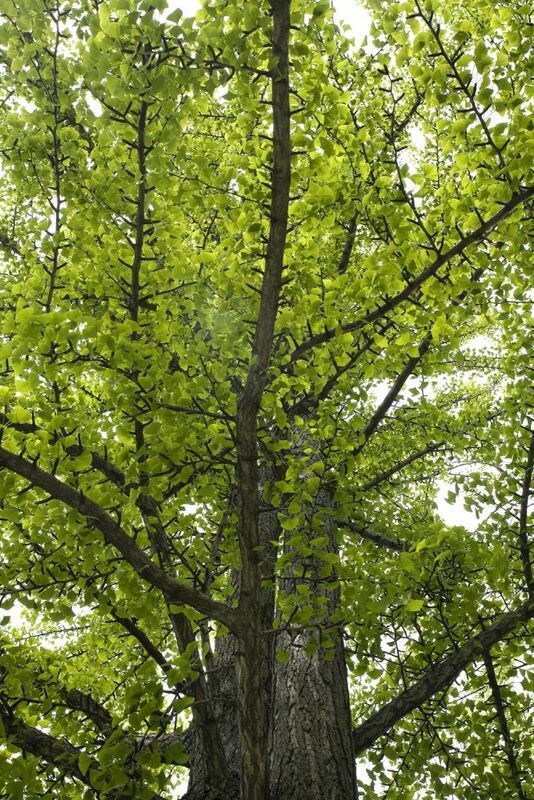 "The gingko tree is unique, which is why I like it so much. In its own category, it has survived for thousands of years and yet has been seen as a fossil, an unchanging witness to an age in which no other plant now existent, lived. The huge old gingko on the campus of McGill University was the first specimen I ever saw"
"I walk by this tree every day, and I love how it's set against the street, with the CN Tower in the middle. Because of the power line passing through it, it has a donut shape, and I love how this fills in during the spring as the leaves begin to grow." "Tree / wandering nomad herded warrior great / i smell the silenced tongues of time / towering itty bitty breathing brown / into the one the all knowing green green green / i wish i knew the pulsating palms of beyond knowing / rooted reaching into the oil's soil past plates / shifting vibrating a smiling change must come / and you will still be here"
"The interesting feature of this amazing tree is that it appears that a large branch from one side of the trunk fell and grew into the other side. Rather than the branch dying off, the tree embraced the laggard branch and grafted it into another major trunk. The symbolism of the tree embracing and healing itself from within is what I see in this tree. Nature does and teaches what humans too often need to learn." "My favourite tree in Toronto is the American elm in front of the Press Building at Exhibition Place because of its magnificent historical importance. 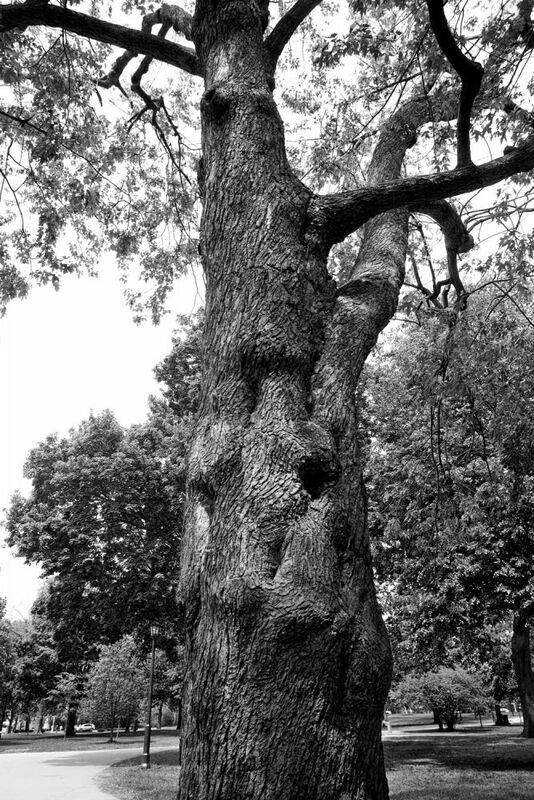 As the Exhibition Place’s oldest American elm, the tree is of significant heritage value to the community as well as past and present visitors. 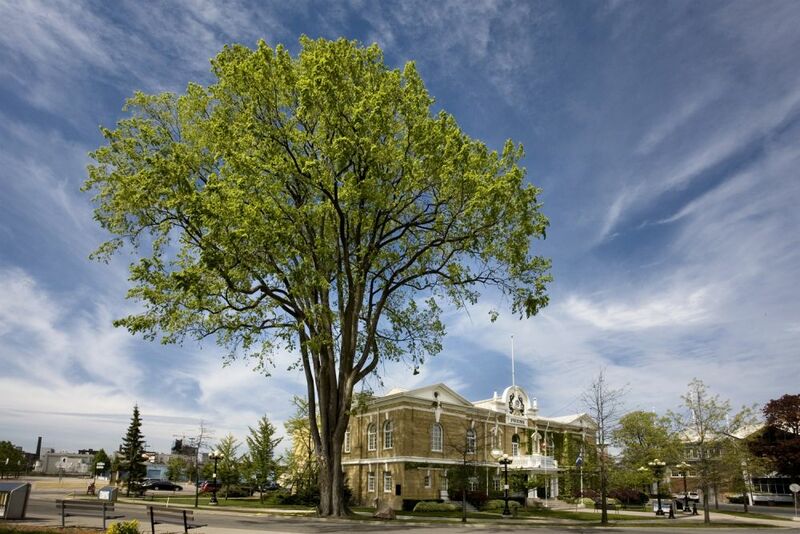 Draping the city’s landscape for well over a century, the American elm was able to withstand Dutch elm disease and it is an admirable symbol of strength and endurance. Besides its strength, it is also a representation of resilience to devastation and tolerance to various factors of stress." "....Since then, this tree has sequestered tons of carbon, absorbed a century of storm water and sheltered countless birds and butterflies - all while we were busy building parking lots. It should provide a cool island of shade for a long time to come - where anyone can lie down and be thankful for the wisdom of those who planted it and perhaps, decide to do the same for future generations." "I love pure white in the garden, and the big Summer Snowflake is part of one of my private garden jokes. 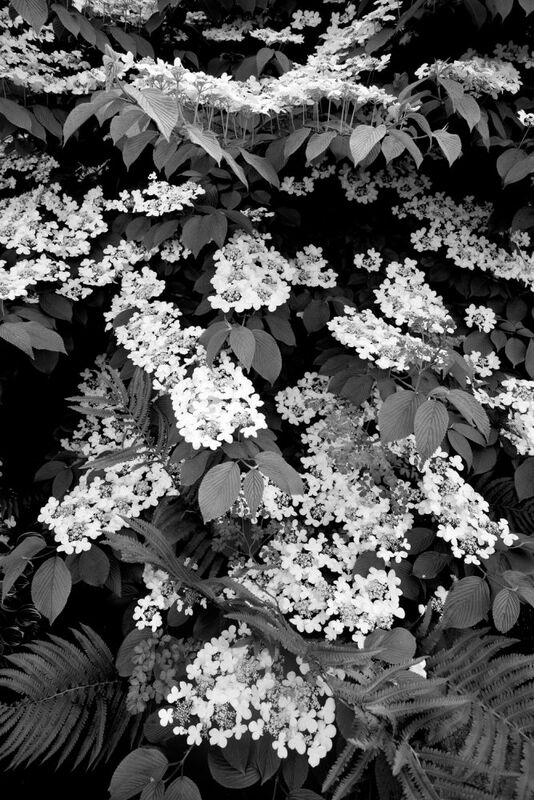 Nearby, I've planted several tiny and beloved Anemonella thalictroides, a native wildflower that blooms exquisitely white at the same time as the Viburnum. No-one else would ever notice, but I love this frivolous propinquity." "It is the home, playground and resting point of birds, squirrels, racoons, opossums and other small mammals through all seasons. At the same time, it is a focal point of our life -- a constant source of joy at the wonder of nature." "It has been called a living fossil, and its origins can be traced to 50 million years ago. It was long thought to be extinct, until a forest of dawn redwoods was ‘discovered’ in China a few decades ago. 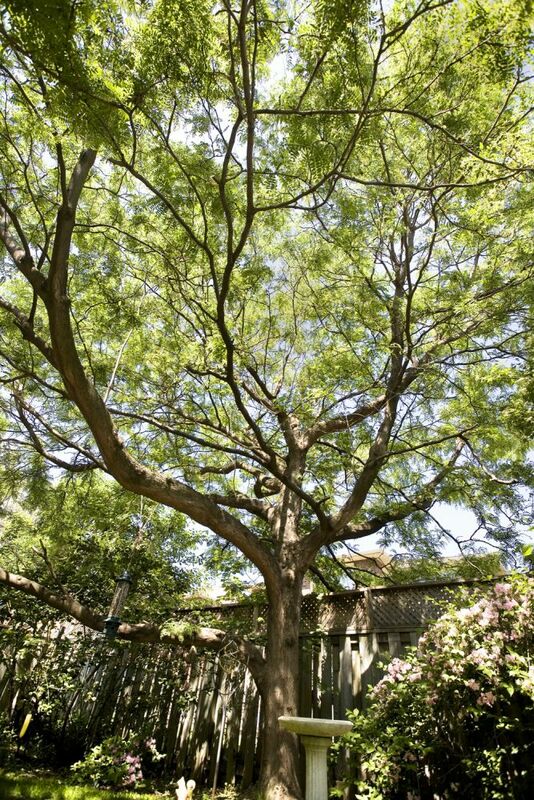 Seeds were collected and the dawn redwood was reintroduced in many locations. There are but a few in Toronto, but my favourite stands at the water’s edge in High Park." 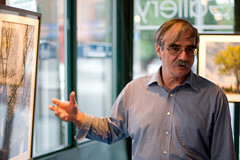 Vincenzo is represented by the Stephen Bulger Gallery in Toronto.